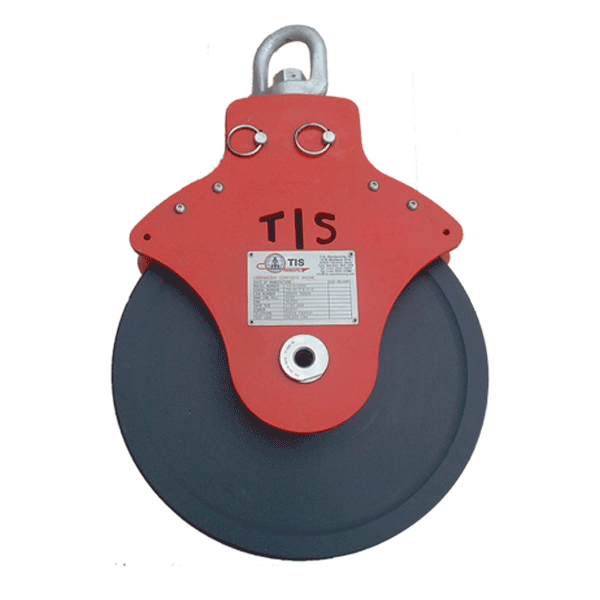 The TIS “Lightweight Sheave” is designed manufactured and sold solely for use with Wireline units running “Swab-Electric line” operations downhole. 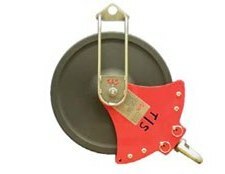 The sheave is designed to be very easy to use and handle, there are a full set of optional accessory’s available for use with this product. 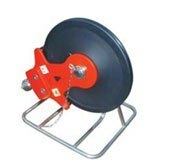 The sheave assembly is manufactured from tough lightweight materials to make the assembly easy to handle. The wheel is produced from a hard wearing tough composite material that has been heat treated prior to final machining ensuring good dimensional stability. The frame is produced from a high grade structural aluminium alloy for its strength and low weight. The frames are protected from corrosion by first passing through an anodising process, this gives the surface of the material a harder finish and a cosmetically better appearance. All other components are made from stainless steel.